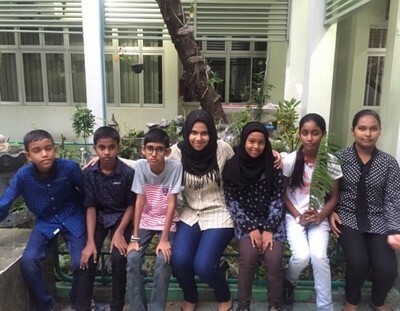 The Bridge Club Maldives (BCM) has conducted the Training Camp for the new Junior Ambassadors (JA) selected to take part in 28th APCC Invitation Project in Fukuoka. The camp was held on 24th June to 25th June at Kalaafan School in Male’ with the 6 JAs, the Peace Ambassador (PA) and the Chaperon. In addition to that, few senior members of the BCM and former JAs, PAs and recent JAs took part in the camp. The main purpose of this camp was to avoid the risk of homesickness which is encountered by many JAs during the APCC Program. Furthermore, the activities of this training was planned in such a way that JAs are trained not only about APCC and BCIO atmosphere but also in various aspects via the sessions and activities. Hence, the JAs were engaged in the activities very much and really enjoyed every bit of the camp. Let’s see how the camp was carried out in details! On 24th June, the JAs reported to the camp site, Kalaafan School by 9:30 pm since this is now Ramadan days. After settling down, there was an ice-breaking activity for JAs with the PA, Chaperon and few members of the BCM. This helped the JAs to get know each other better as most of them have met for the first time. Followed by the ice-breaking was a small introduction about the APCC trip highlighting on important events throughout the camp and Homestay. It was held on interactive discussion basis and the discussion was led by Mr. Mohamed Mahid Moosa (JA 1989, PA 1999). After the discussion, it was the bedtime! On the next day, there were few former JAs including recent JAs who visited the camp. The day begun around 11 AM, with them sharing their experience at Marine House Camp and Homestay during the APCC. All the JAs had different experiences and listening to them aided the new JAs to be prepared more effectively. Afternoon, the sessions for the participants began. The first session was a Leadership skills enhancing skills for the JAs to build leadership and age appropriate capacity in them. The session was held by Fathimath Shaana, the PA for 28th APCC. During the session, she explained the qualities a leader should have with few life skills, how to enhance them and how we could practice those in our everyday lives. The session was on an interactive basis with fun activities like puzzles about the leadership qualities. On top of that, there was an activity where the participants listened to the APCC Theme Song ‘We Are the Bridge’. Indeed, it is a song with beautiful and meaningful words. Moreover, there are numerous values expressed through the song which are also leadership qualities. For instance, communication, determination, teamwork, challenging spirit, motivation, etc... They concentrated on the lyrics of the song as they listened to it. After listening, a list of leadership qualities which are expressed through the song was given and they were given the task to identify the part of the song which expresses the qualities given. This was aimed to allow them to learn the song before they go to Fukuoka and understand the APCC background better! After a short break, there was the session about APCC and BCIO by Ms. Niuma Ahmed (JA 1999, BCM Representative in 1st BC Presidents’ Meeting). She explained about the vision of APCC, aims of APCC and BCIO and many other information about the background of APCC. Additionally, she highlighted about the Bridge Club Maldives, how it was formed and the activities of our BC. She also encouraged the participants to be actively involved in the Bridge Club after APCC participation like senior members of BCM. So, this avoids the idea of having just a free trip in their minds. Above all, the core qualities of APCC, Communication, Action and Respect (CARe) were discussed with the JAs. The details of every quality and their importance were taught to them. Additionally, they were informed about how they are expected to practice those qualities throughout and after APCC participation. 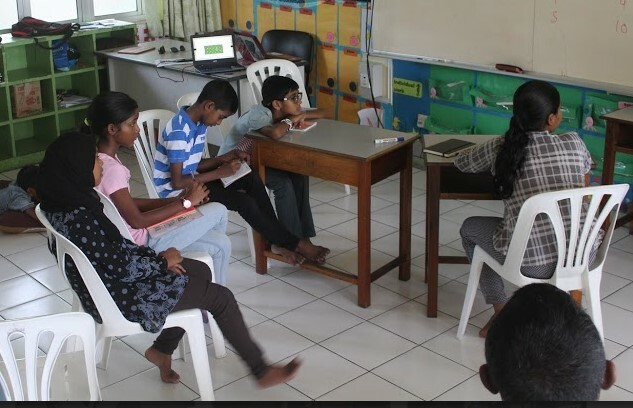 Since the JAs got an idea after the above sessions, they were tested about the information given through a simple quiz which they enjoyed very much. They were split into two teams along with former JAs. This quiz not only helped to enrich the knowledge about BCIO and APCC for the JAs through a fun activity but also allowed the former JAs and other participants to recall their knowledge about APCC and BCIO. Followed by the Quiz, there was an introductory Japanese class held by the Japanese Teacher, Ms. Aminath Yumna Waheed who has been teaching Japanese Language for APCC Delegations from Maldives for 7 years now. In these classes, Instant Japanese Language is taught along with Japanese lifestyle which will be essential in Marine House camp and Homestay. The Japanese Classes is continued after the camp as well until the participants leave to Fukuoka. The end of the Japanese class held in camp concludes the sessions for the camp. So, after the Iftar, the JAs were received by their parents. The JAs enjoyed the camp very much and learned a lot of things. 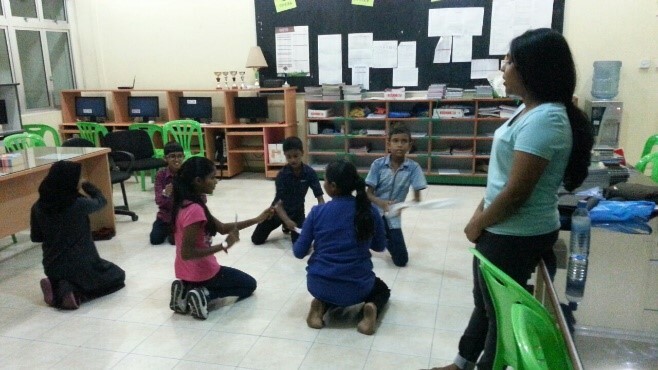 Apart from the camp, the Instant Japanese Language Classes and Cultural Performance practice which is choreographed by Fathimath Nahula (JA 2010, PA 2015) are held for the new JAs and will be continued until the departure. Moreover, there were meetings and discussions held for parents to create more awareness about the APCC and BCIO background with some senior members of the BCM and the Parents of recent JAs. Overall, the JA Training Camp was successful and was carried out as planned. We hope that with what they have learned from the camp and what they are going to learn at APCC, the new JAs will become global citizens and achieve the objectives of APCC after the APCC participation. 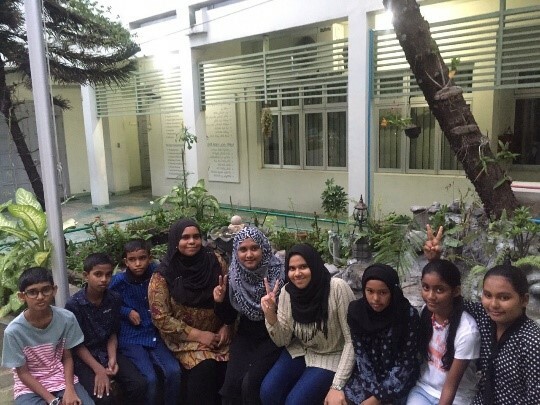 We wish the best of luck to the Delegates from Maldives who are going to participate in 28th APCC!